Living Planet and Tree Doctors take a wholistic approach to garden and tree management. Since 1999, our experienced and qualified teams have performed exceptional work throughout Wellington’s challenging terrain. +Tree Doctors are fully qualified and will promptly assess your trees in relation to your requirements, space, sunlight and garden. Our garden maintenance service ensures your garden spaces develop as intended. 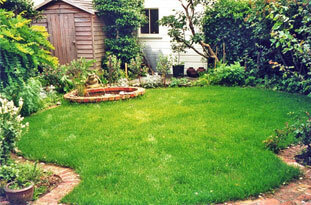 We offer a full lawn installation or renovation service as well as identify and control weeds, pests and diseases. Order mulch for your garden today! 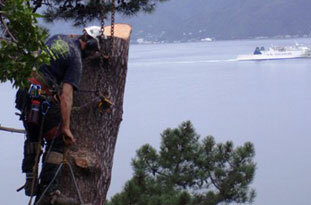 Living Planet and Tree Doctors are dedicated to provide you with high quality service. We strive for developing successful gardens for our customers to enjoy. Our qualified Tree Doctors team are focussed on managing small hedges through to felling or pruning the largest of Wellington’s giants. Tree Doctors also will shred your tree waste into usable mulch and provide stump grinding services. We always use an environmentally friendly chainsaw lube. Our Garden Doctors team will strive to keep your garden looking at its best throughout the seasons. 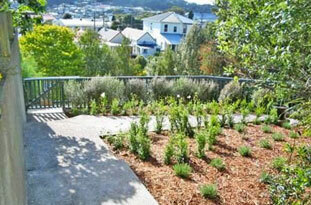 We fully build or renovate garden beds and lawns. We grow soft, lush, fine lawns. We synthesis, compost and nutrition with expert plant husbandry to create successful and stunning gardens across Wellington’s challenging terrain. We provide a range of successful weed and pest insect spraying services. 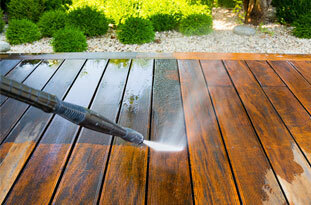 We also treat fungal and rust problems. Our Landscape Maintenance services include a range of activities from Waterblasting to repairing steps, patios and walls. We have provided service to Wellington since 1999 and thanks to so many happy customers replying to our feedback forms we have some recent customer comments on our Testimonials page. We welcome you to accept us as your local tree and garden experts. Tree Doctors is committed to using 100% eco-friendly biodegradable chainsaw lube.